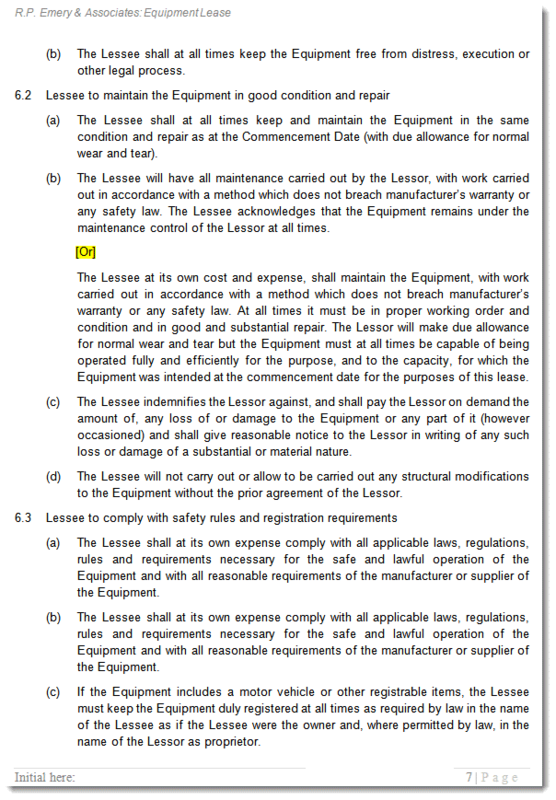 Use this Commercial Equipment Lease (aka a Lease of Chattel) when the owner of certain commercial equipment or machinery (the lessor) wants to lease the equipment to another party (the lessee) for a fixed rental amount over a fixed rental period. When the contract ends, the lessee may extend the rental period or give the equipment back to the owner. 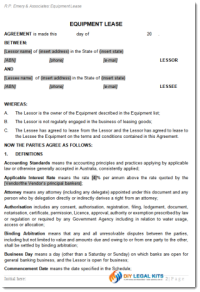 This document sets out the rental schedule, maintenance responsibilities and the owner’s options should the lessee default. It protects your investment by specifying your relationship with the lessee. A written agreement ensures that both parties are aware of their obligations, minimising misunderstandings and potential conflict. 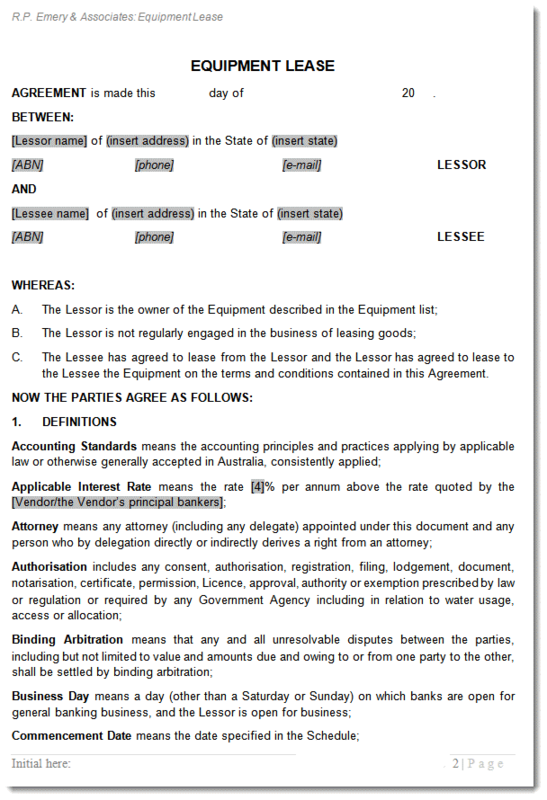 Our professional lease documents (with easy to follow instructions) give you the confidence that your interests are protected. Available for Immediate Download - Editable Template can be used time after time. This professionally drafted agreement is available for immediate download. It is supplied as a Microsoft Word template which means it is easy to edit and can be used repeatably.